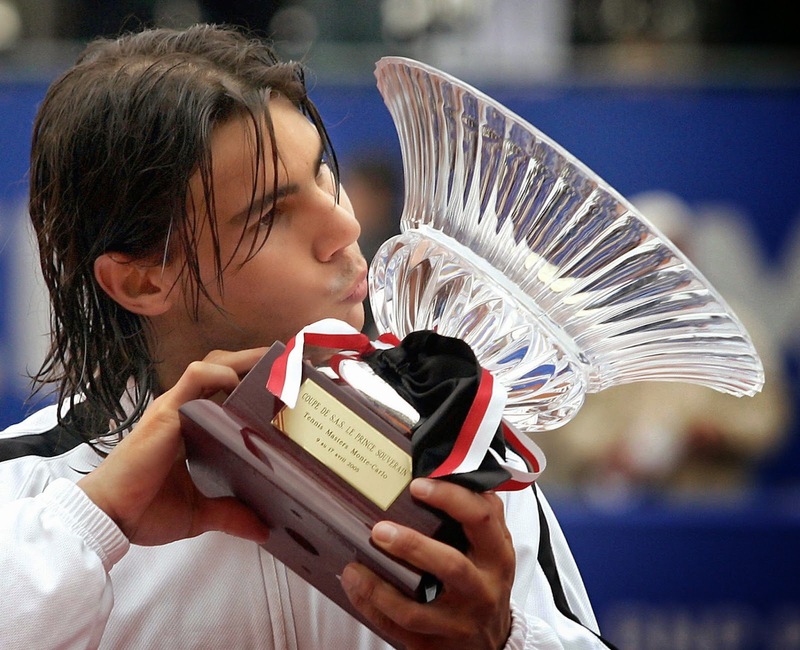 Rafa Nadal defeats Guillermo Coria, 6–3, 6–1, 0–6, 7–5 His (1) first ATP Master 1000 Title. Rafael Nadal defeats Roger Federer 6–2, 6–7(2–7), 6–3, 7–6(7–5). 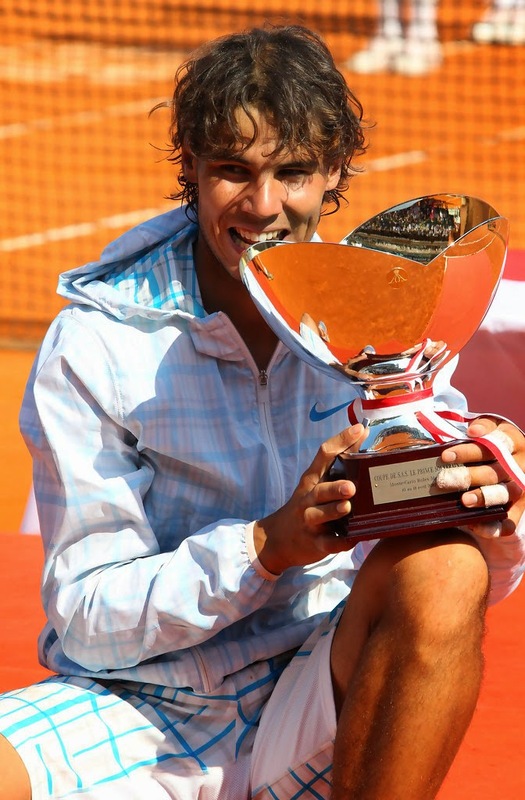 His 5th ATP Masters 1000 Title! 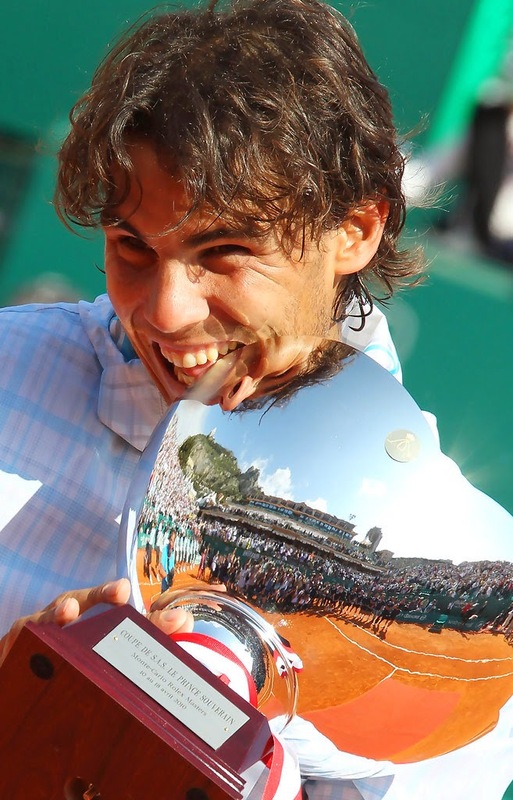 Rafael Nadal defeats Roger Federer 6–4, 6–4 to gain his 3rd consecutive title in Monte-Carlo, his #8 Master Shields 1000. 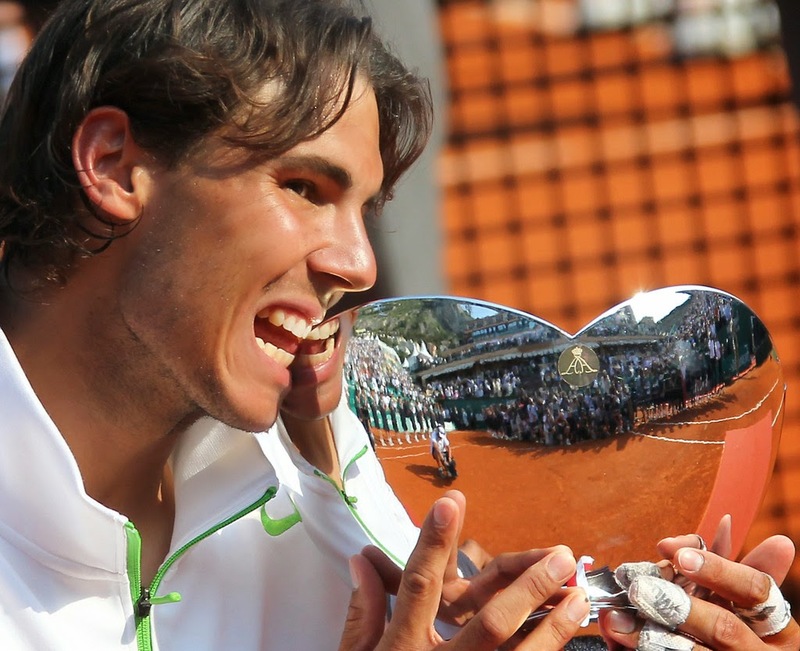 Rafa Nadal defeats Roger Federer 7-5 7-5 for his 4th consecutive Monte Carlo title! #10 Masters 1000! Team Rafael Nadal/Tommy Robredo defeat Mahesh Bhupathi/Mark Knowles 6–3, 6–3 for the Doubles Title! Rafa Nadal defeats Novak Djokovic 6-3, 2-6, 6-1 5th Straight Victory! 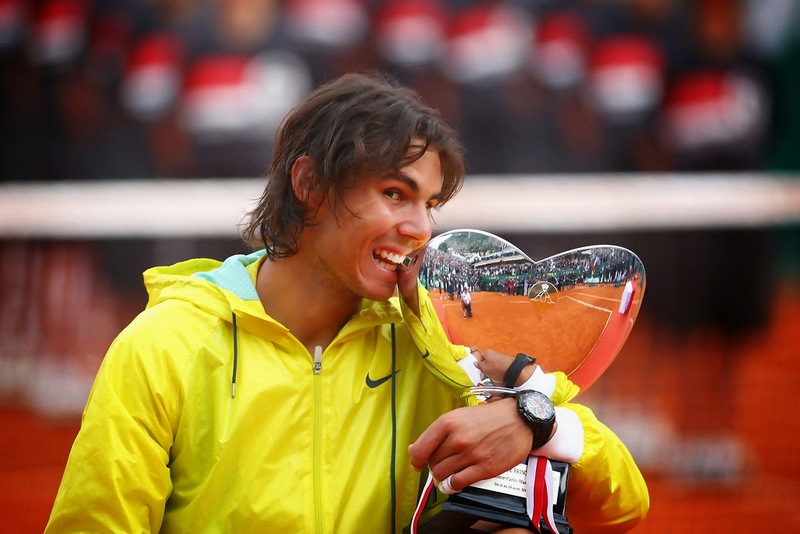 #14 1000 Masters Title! 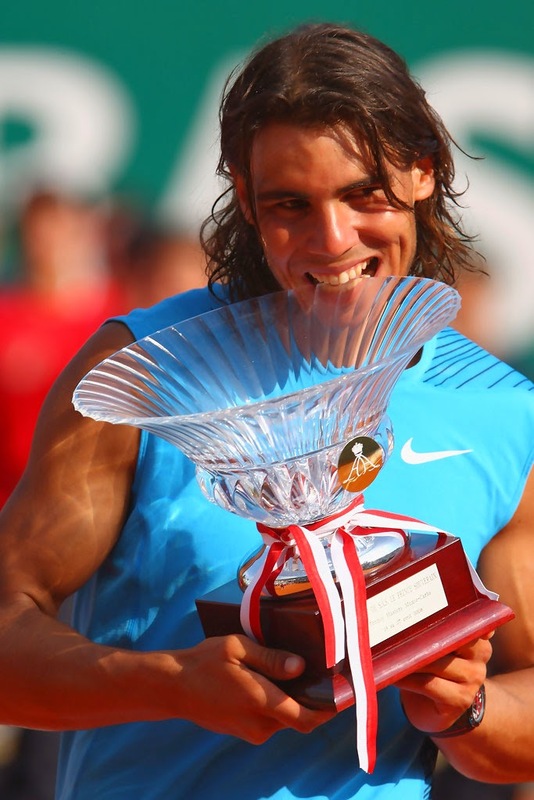 Rafa Nadal defeats Fernando Verdasco 6/0, 6/1 6th straight victory! a record! #16 Masters Title! 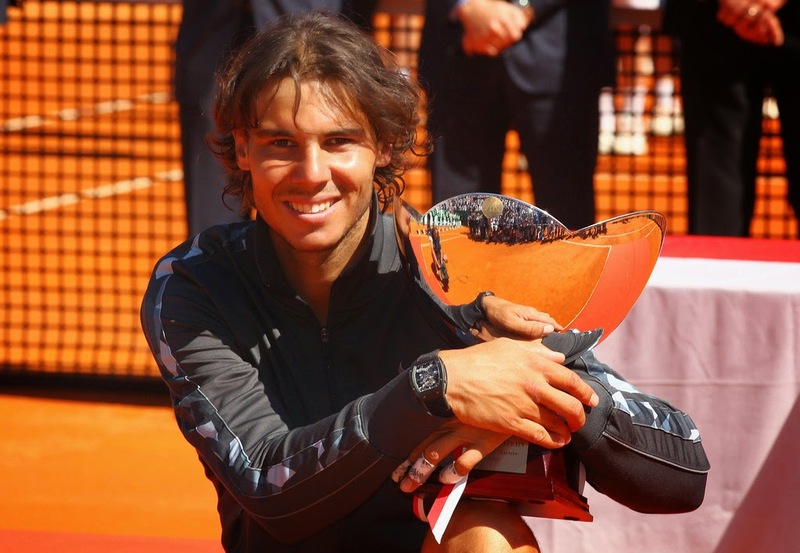 Rafa Nadal has #8 titles in Monte-Carlo Rolex Masters 1000. He is 44/1.